← Running: to infinity and beyond! Not long after crossing the border, with my lactic-acid filled legs pushing Holly Goquickly’s pedals, classic American anthem style music began to fill my ears. Not full songs, just blips; it was as though my mind was switching stations until it found the perfect tune. Born In the USA… nope. Don’t Stop Believin’… ohhh yeah. So last week Big Ring started his annual Tour de France holidays where he spends two weeks waking up super early to watch the Tour live (because apparently watching it on the PVR isn’t the same) and then getting on his bike for hours and hours after. And on Saturday, thanks to my super awesome parents for looking after Little Ring, the two of us, and our respective lovelies, hit the roads together. We debated riding through the familiarity of the Valley, or towards the beach in White Rock, but for this ride, those locales just didn’t seem adventurous enough. 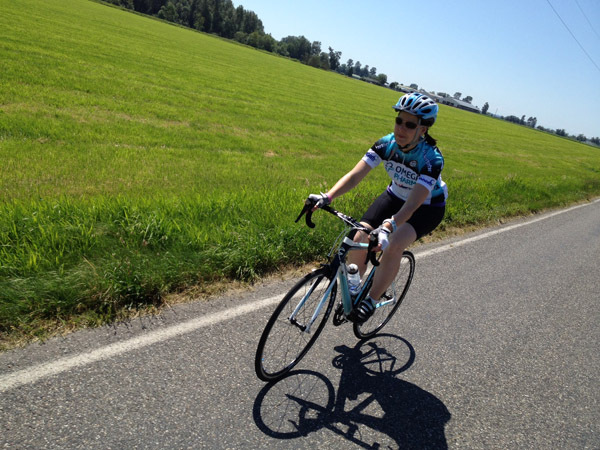 And so, we decided to pedal new terrain – by way of America. My parents live about 20 km from the border so it wasn’t too far a stretch to get to, and we’d been hemming and hawing about heading out that way for some time, and so, when we saw the forecast for Saturday – HOT! – Big Ring did some research, found a route that would take us to the base of Mt. 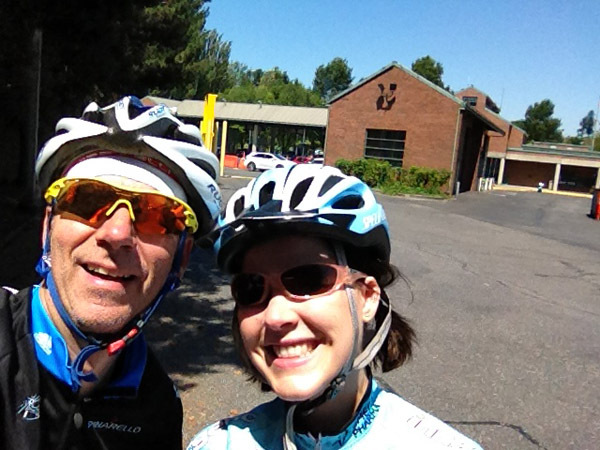 Baker and back, including a stop at a Dutch bakery for lunch in between.. I sure hope these directions are right! Big Ring We may have underestimated how long it would take to ride such a distance, approximately 95 km, with a 45-minute stop for lunch, a lunch that had a super tasty sandwich, but a very UNWISE cookie that caused both blood sugar drama from too much insulin (hello lows) and major belly issues from the sweetness battling the scorching sun above. 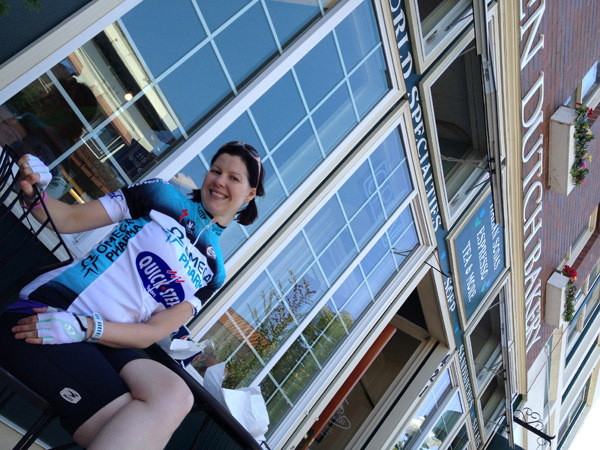 For the most part, bakeries and cyling go hand-in-hand… at least in my world they do! We journeyed along quiet country roads, passed by windmills, and corn fields, and happy faced barns, and tractor-based sprinklers. We could see the mountain in the distance, and with the strong breeze consistently splashing our face, it would have been a much welcomed rest stop. SHUT UP LEGS! YOU DO WHAT I TELL YOU! By the time I rolled into my parents driveway, a good minute or two behind Big Ring, my feet were throbbing, my legs were jello, and I honestly had no idea how I was to get off Holly Goquickly! And yet, not even an hour later, I was begging Big Ring for another go at making it to the mountain’s base. 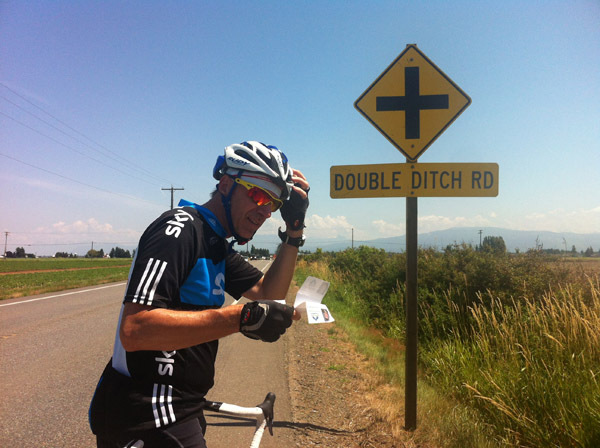 This entry was posted in Training, Uncategorized and tagged Cycling, Cycling in America, Jens Voigt, Mt. Baker. Bookmark the permalink. Like the Holly Go Quickly name, I actually know somebody named Hal Golightly! I’ve bee reading your blog for a while an really enjoy it! I live in Vancouver too and love running and cycling, so it’s fun to follow your training and adventures 🙂 I’m not type 1 myself, but my 12 year old son is (since he was 4). Thanks for the comment Jen. Where abouts do you run/ride?